All of our instructors are fully insured and DBS checked. We have taught at many different schools in Surrey and the Chanel Islands, as well as teaching Girl Guides, Brownies and Rainbows groups. 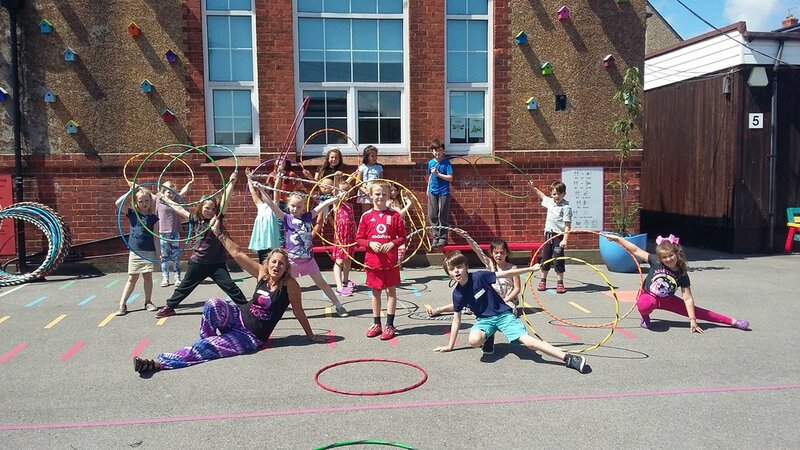 Why not suggest Hula Hooping as a great activity for your child at school? Send this link to your school’s PE teacher or principal and get the hoop rolling!